This card was prepared for a Dry Embossing technique class, but Masking was also used - see previous posts for more details on using those techniques. The Fresh Cut stampset and notes cards are part of the June 2008 Promotion from Stampin' Up! Purchase the Fresh Cut Stampset (which will be featured in the new Fall/Winter Catalog to be release in August, but featured and available this June, for $21.95 and receive the matching 4x4 note cards for $5 (15 note cards and envelopes). 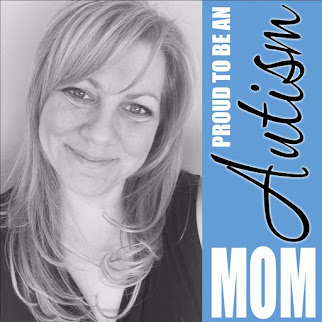 Place Sky Blue cardstock, 4x4 or 3.75x3.75, on the inside of the card front with dimensionals. This way, the dimension of the die cut will still be shown but you won't see straight through to the greeting written on the inside. I left it alone so you could see the full effect of the die cut (so you see the grid paper through my sample above). 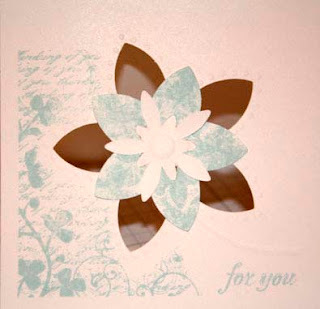 Use Flower Fusion or Pretties Kit flowers with a Rhinestone Brad in the center of the die cut flower.